Ever wonder what different models of Jeep Wranglers their are? 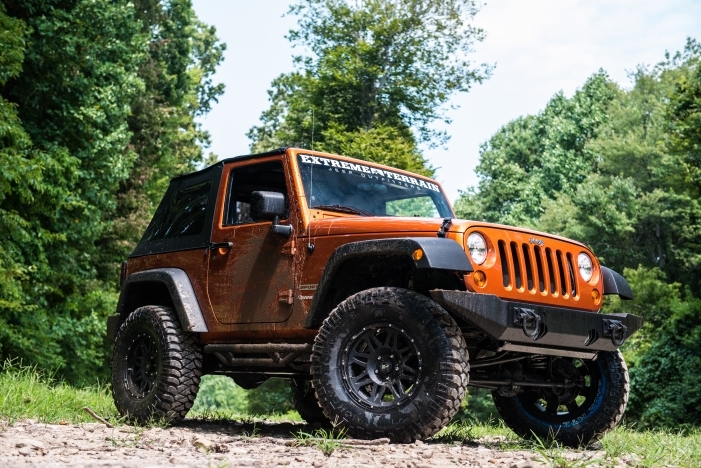 We’ve outlined the differences in pricing and features between a Sport, Sahara and Rubicon JK. Each model of Jeep Wrangler was built for a distinct purpose, with specific advantages for the buyer interested in wheeling their Wrangler. We’ve outlined the distinctions betweeen each model and offered some suggestions as to which JK is right for you. Q: What are the different types of Jeep Wrangler JKs? A: There are three different models of JK Wranglers – Sahara, Sport (X) and the Rubicon. The Sport is the least expensive, bare bones model. From 2007-2010 it was branded as the X model, and in 2011 they brought back the Sport name. It comes equipped with a basic stereo system and optional A/C unit. Also as standard equipment are stamped steel wheels and standard tires. They have options to upgrade to a hardtop, but from the factory are outfitted with a soft top. There’s also a Sport S, which comes with alloy wheels, A/C and chrome interior accents. The Sahara is built more for comfort of the driver and passengers. It comes with everything on the Sport S with some other upgrades including: 18” premium wheels, color matched hard top and fender flares, and side steps complete the look of a Sahara on the outside. On the inside you’ll get an upgraded stereo system with Alpine speakers and a 368 Watt Amplifier. Finishing off the Sahara’s interior is a leather seat option and LED interior lighting accents. The Rubicon is the flagship of the Wrangler fleet. It’s made to be the rugged off-roading version of the Wrangler with great on-road abilities as well. It comes with everything in the Sahara package along with a plethora of off-road goodies. The 17” alloy wheels are wrapped around 32” BFG M/T’s for better traction when traversing trails. The standard Dana 30 front axle has been upgraded to a stronger Dana 44, and both front and rear axles are equipped with Tru-Lock air lockers. The springs are upgraded with a better spring rate to allow the Jeep have more ground clearance and larger tires. The Rubicon comes with an electronically disconnected front sway bar to help with articulation off road. Rock rails and standard tow hook complete the rugged look of the Rubicon on the outside. As for the interior, it has the premium sound system and touch screen head unit, leather seats, and a two tone interior available. Clearly, the Rubicon is the weapon of choice for those looking for outdoor adventuring and those who like to wheel their Jeeps on the weekend. The beefed up axles and tru-lock air lockers as standard components are two very good reasons for why this is such a capable off-roading vehicle and our favorite of the three JK Wranglers. This definitely breaks it down that I’m in the market for one. What makes it “UNLIMITED?” I see it on the difference models. Unlimited are the 4 door models. Great detail! Now I’m in the know! Hello, would the hardtop ( freedom top ) off of a 2010 Rubicon fit a 2010 Wrangler Sport ?